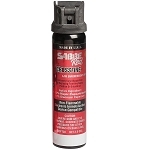 SABRE RED aerosol grenades are ideal for crowd control, cell extractions and area denial. 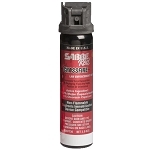 Delivering up to 200% more OC per second than hand held sprays, SABRE RED aerosol grenades provide a practical and cost effective tool to disperse, deny and extract. 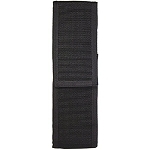 Perfect for SWAT, ERT, CERT and Armed Forces operations. 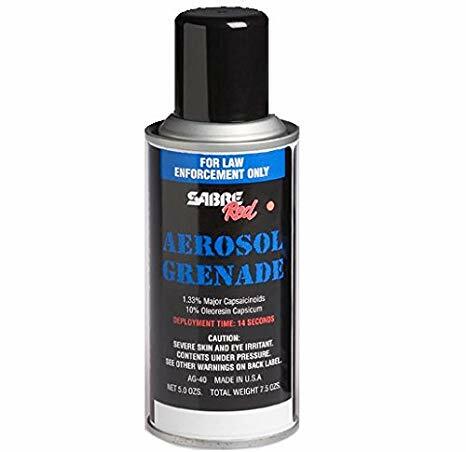 The very portable aerosol grenades provide immediate deployment and deliver a pungent 10% OC (1.33% Capsaicinoids). Can be placed upright for a vertical deployment and distribution pattern or placed on its side or tossed into a cell or room for a horizontal deployment and distribution pattern Available in 2 oz. 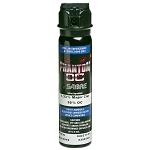 canister that empties in just six seconds and covers up to 10,000 cubic feet within sixty seconds and a larger 5.0 oz. 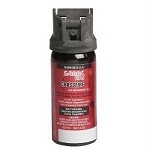 canister that empties in 14 seconds and covers up to 22,000 cubic feet in less than one minute.